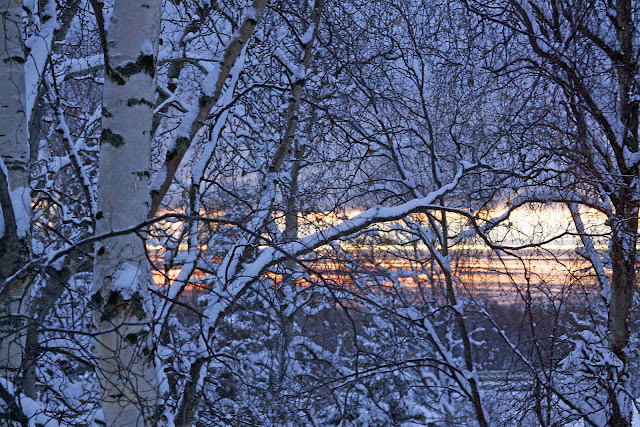 What's all that white stuff ruining your colorful sunset? It is gorgeous. I guess you don't have to pine away for a white Christmas! I can't believe how wintery it is already. But it's a gorgeous picture, not completely depressing. Beautiful! I am already getting pumped up for all the winter snow days in January. It's a holiday unto itself! It's beautiful, but…doesn't make me crave winter at all. Thank you for this glimpse into your life.